Fall weather usually means soups and crock pot recipes, obviously, but I also like a nice braised dish as well. 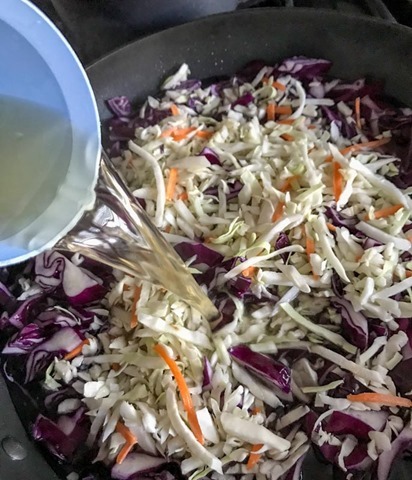 I always make my own homemade chicken stock and that makes braising even more exciting and the recipe even more rich! This recipe is warm and hearty, a delicate balance of savory/sweet, and has perfect texture. 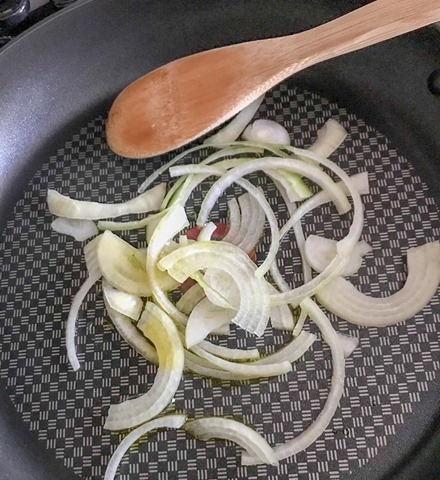 Over medium low heat, cook the sliced onion and EVOO in a large saute pan until soft and brown. 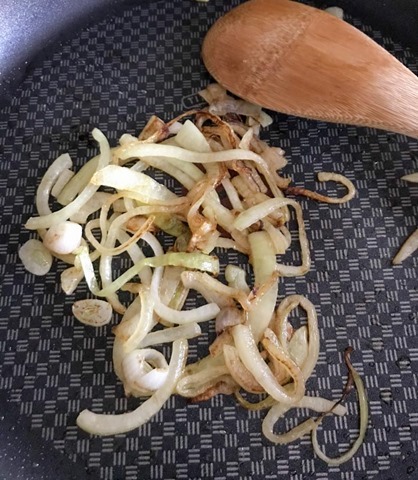 When finished, removed from the pan. 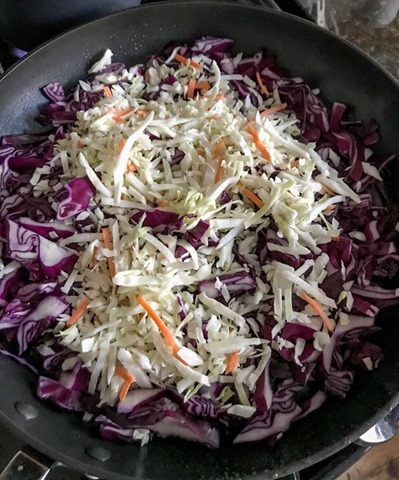 In the same pan, add the cabbage and chicken stock. Cook for 5 minutes over medium-high heat until the stock is simmering. Then add the apple cider vinegar, apples, and spices. 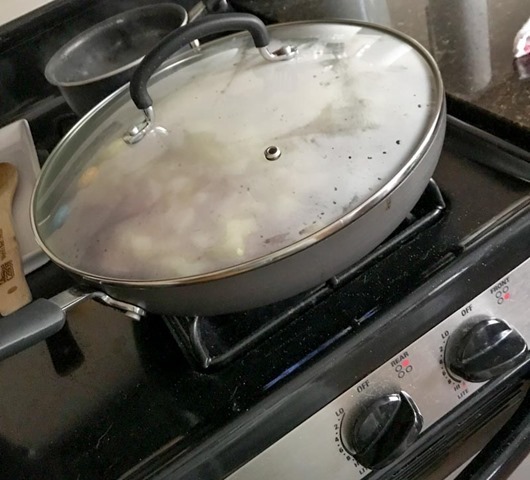 Cook over medium-low heat for 10 minutes with the lid on – stirring occasionally. 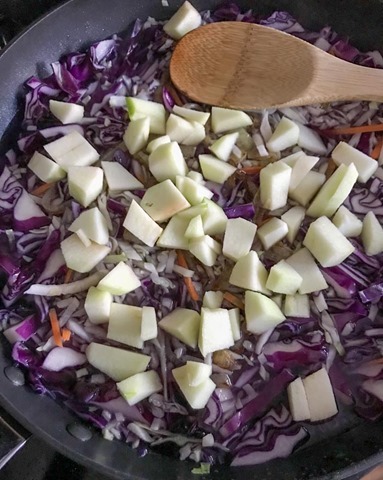 This savory apple cabbage is just that – savory but with a light sweetness from the apples. 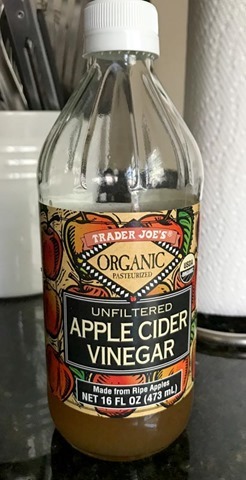 The apple cider vinegar is a really nice compliment to that flavor with a bit of a bite. 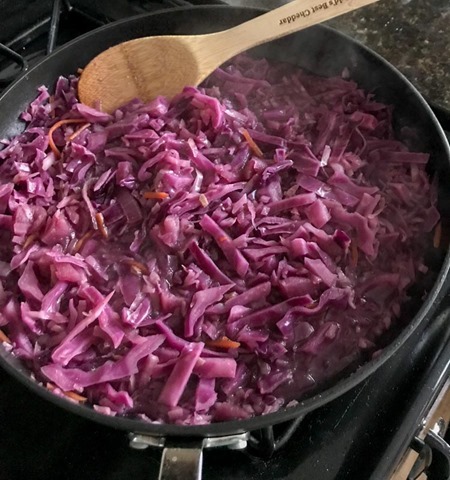 The cabbage stands up to all the braising – it’s not mushy and maintains a firm, but al dente, texture. 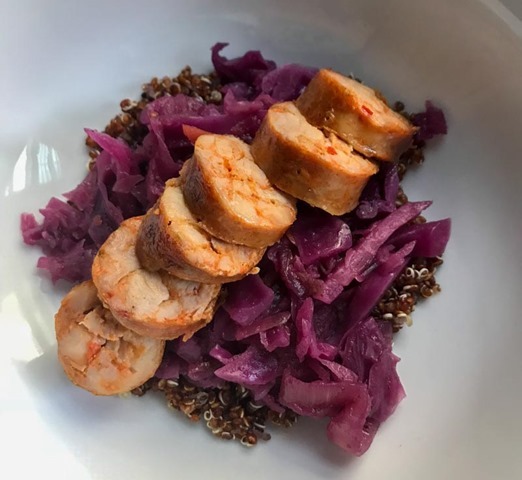 I prefer this cabbage in a savory application, like with a sausage and quinoa as you can see below. 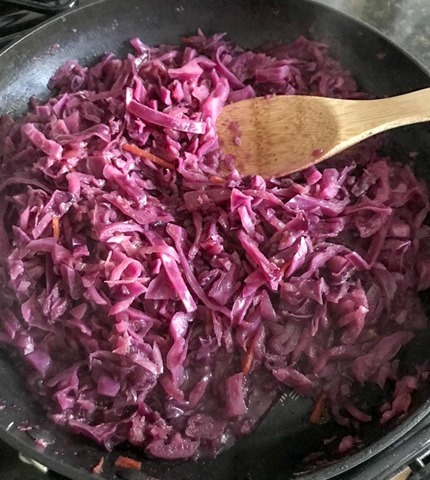 It would work with kebabs, pulled pork, burgers, cold on a green salad…the possibilities are endless!